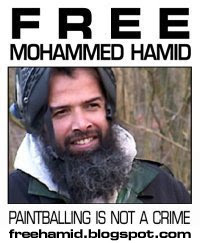 The Counter–Terrorism Bill was introduced to the House of Commons on the 24 January 2008 and contains a number of provisions which the Government claim are designed to enhance counter-terrorism powers. Recent headlines have abounded with regard to the 42 day pre-charge detention proposals, however there has been scant coverage of other specific proposals contained within part 6 of the proposed Bill (Clauses 64 to 67) dealing with (secret) inquests and inquiries. Jacqui Smith, Home Secretary explained, in a letter dated 21 January 2008, why the changes to the coroners’ inquest system in England and Wales were required: in order to comply with Article 2 of the European Convention on Human Rights. The incompatibility of the present coroners' inquest system with Article 2 of the ECHR arose when Oxford Coroner Andrew Walker stated that, in the inquest into the murder of Azelle Rodney, he could not properly discharge his duties and that consequently his ruling would not comply with the obligations enshrined in Article 2 of the European Convention on Human Rights. 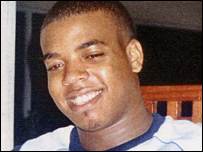 Azelle Rodney was shot dead in 'an operation' by the Metropolitan Police on 30 April 2005, less than 3 months before the deaths of the July 7th victims and the extra-judicial State execution Jean Charles de Menezes. • otherwise in the public interest. The certification could be made in respect of an inquest which had not yet started or at any time before an inquest was concluded. The effect of such a certificate would be that the inquest would be held without a jury (and any jury already summoned would be discharged). The Secretary of State would have power to revoke a certificate at any time before the conclusion of the inquest. Clause 65 would insert new sections 18A to 18C into the Coroners Act 1988 and would enable the Secretary of State to appoint a “specially appointed coroner” to hold an inquest which is the subject of a certificate under section 8A, instead of the coroner who would otherwise have jurisdiction. Clause 66 would amend section 18(7)© of RIPA [Regulation of Investigatory Powers Act 2000] to allow disclosure of intercept material to a person appointed as counsel to an inquiry held under the Inquiries Act 2005, in addition to the panel of an inquiry. The cross-party UK Parliamentary Joint Committee on Human Rights (on page 8 of their report of 30th January 2008) described the above proposals as "an astonishing provision with the most serious implications for the UK’s ability to comply with the positive obligation in Article 2 ECHR to provide an adequate and effective investigation where an individual has been killed as a result of the use of force, particularly where the death is the result of the use of force by state agents. Readers are reminded that, nearly three years on, all the inquests relating to the victims of the events of July 7th 2005 have yet to take place. Comments are welcomed as to why an inquest into a 7/7 victim should be subject to unwarranted State interference. Why and how would 'National Security' be compromised in such an inquest? At least one reason might be that the government July 7th narrative would not then stand up to the scrutiny it so richly deserves. Is the government legislating itself the right to indulge in further malfeasance? Further background information and research on this subject by the J7 collective is here.